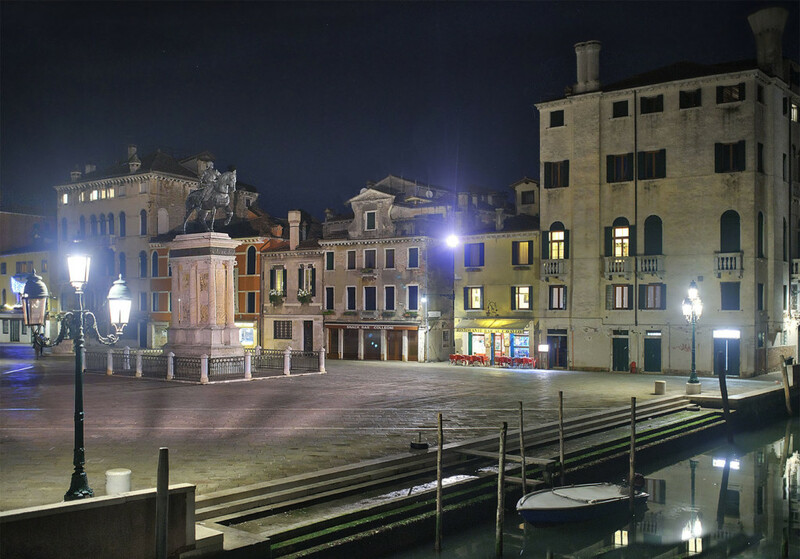 The advantages of exploring Venice in the nights; fewer tourists, not so hot, high lights and the unique atmosphere. Some alleyways remind you of scenes as you were in a medieval movie. From corner to corner you can see if a wine bar is still open, where you get Italian prosciutto and red wine from the Tuscany. An experience I can recommend.